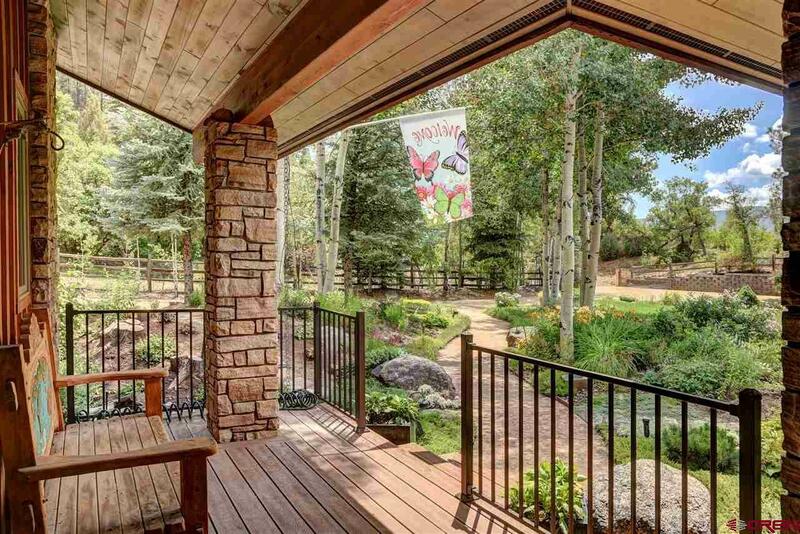 With extraordinary views of the Animas Valley and Engineer Mountain, this home is a nature lovers dream. Quietly nestled atop Durangos Missionary Ridge, the beautiful design and impeccable craftsmanship of this home was built by Galbraith Builders. 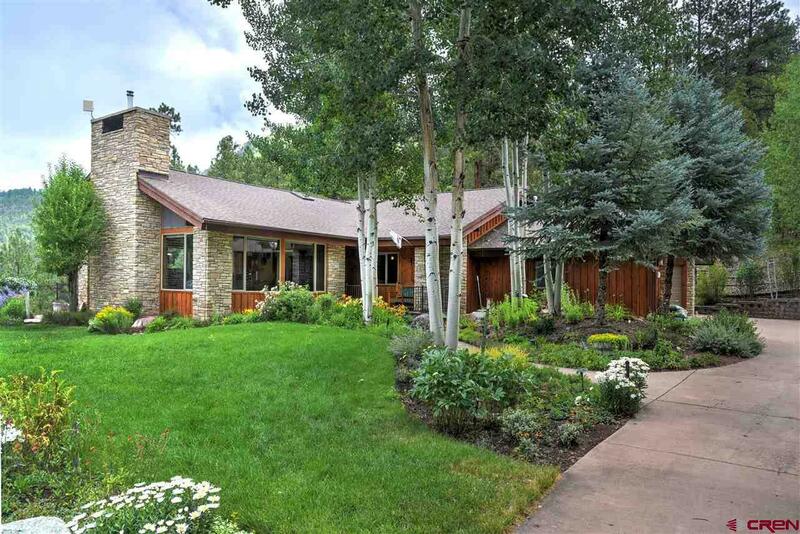 This four-bedroom, four-bathroom (3 full, 1 half baths), 2,869 square foot home has a sprawling open floor plan, and an abundance of sunshine throughout. When entering, you are immediately welcomed into the warm, but large connected great room and dining room, complete with wood burning fireplace. Tall aspen ceilings, a beautiful knotty pine mantle, and large windows bring a natural beauty into the space all times of year. The kitchen is complete with a 6-burner Viking range, two convection ovens, a warming drawer and stainless steel appliances. A three-seat breakfast nook, with lovely granite countertops is perfect for large or small family events. The kitchen has plenty of storage, including a large walk in pantry with wine storage and several built-ins. The kitchen looks out over the big beautiful wrap around patio with hot tub, dining, and relaxation space. 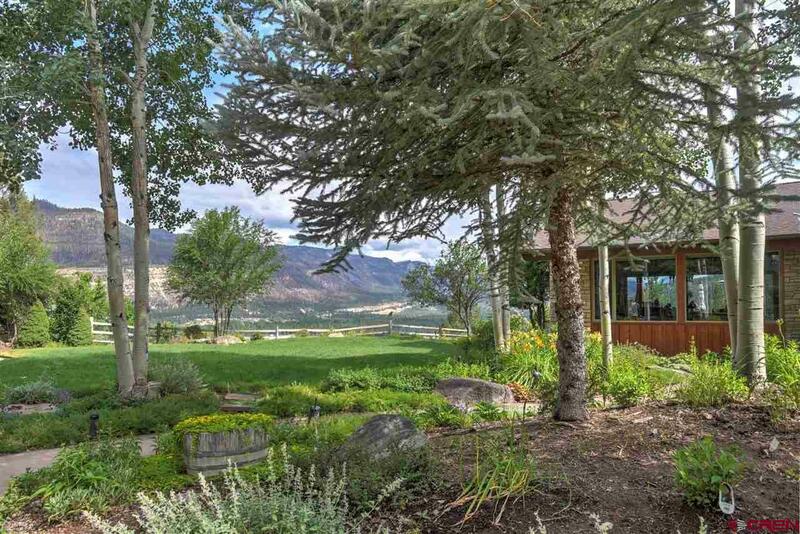 The house is beautifully landscaped with a variety of flowers and fruit trees. And you can hear the summer breeze blowing through the trees on a regular basis. The master suite with tall ceilings and large windows allows for incredible mountain views right from your bed. The beautiful gas fireplace warms the space, while glass doors provide hot tub deck accessA quiet, relaxing space you wont want to leave. The master bathroom has a jetted jacuzzi tub, large steam shower, two sinks, a separate vanity, and ample storage. The spacious walk-in closet includes built-ins and has plenty of space for two. The guest suite has a large guest bathroom with shower/tub and big bright windows looking out at the front entry. An additional half bath, with an ornate copper ceiling and accents is also nearby. While, the two additional mirrored guest rooms are connected with a Jack and Jill bathroomboth having nature and wildlife views all times of year. All guest rooms have ceiling fans, recessed lighting, bright windows, and large closets. An considerable home office sits nearby and could be used as another bedroom or home gym. It also provides access to the large laundry room with built-ins, a heated two car garage complete with large windows for bright light, and beautiful garden space. The home is wired with innovative smart home technology, has state-of the art Kuna lights, and includes a security system that speaks to you within the home. In-floor heating provides additional warmth in the winter, and custom wood-casement Andersen windows, skylights and doors occupy the space throughout. 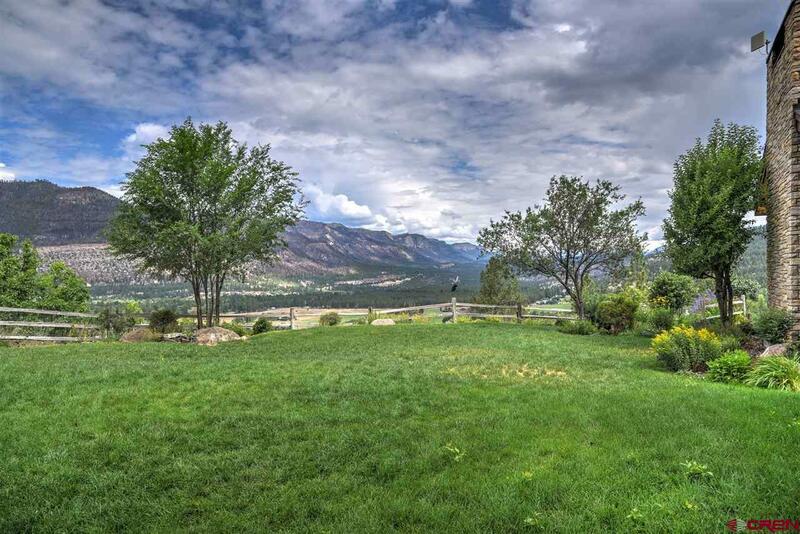 Perfectly located between downtown Durango and Purgatory Resort, with a short drive to the Glacier Club, Trimble Hot Springs, and Dalton Club you will never run out of activities or entertainment. This 8.65 acre property also borders the U.S. Forest Service allowing for access to nearby hiking trails and a large variety of wildlife. The quiet living and easy access makes this place a hidden paradise.